Colonial, Single Family,Detached - Mantoloking, NJ This beautiful Mantoloking bayfront location offers surprising panoramic water views and spectacular sunsets as far as the eye can see, all year long, and a glimpse of sunrise to the east! Oversized lot. The existing home was built to be FEMA compliant. 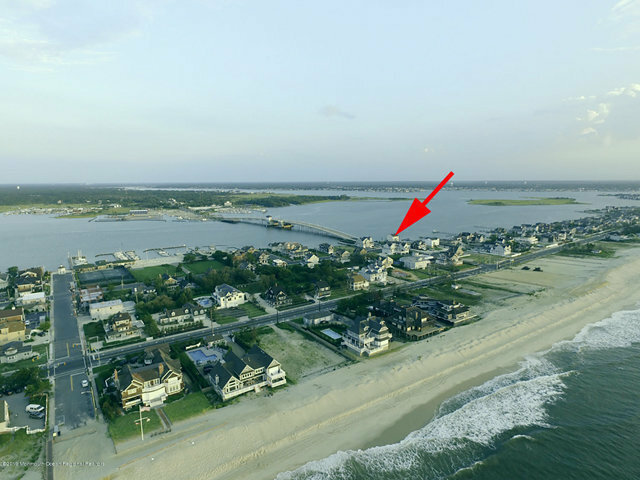 Close to the beach, Mantoloking Yacht Club, and more. There is a dock (riparian grant) for your boat, and ample parking in the driveway. Come enjoy your time here, whether you prefer the beach, the bay, or a walk or bike ride around town, or north into Bay Head!